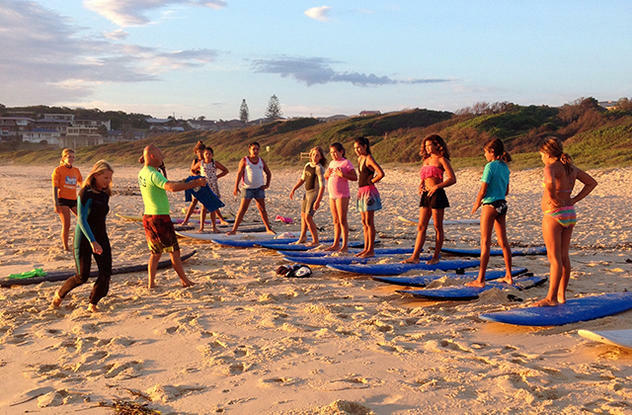 A group of 12 children supported by Mission Australia participated in a specially organised 8 week VEGEMITE SurfGroms program under the Surf for Life Project. Mission Australia is an Australian charity organisation that believes all children deserve a happy, healthy start to life. Their goal is to help families provide the security, care and support that is so vital to a child’s development. Together with workers from Tobwabba Aboriginal Medical Service and Indigenous Community Links (Forster), Mission Australia and the Surf for Life Project identified 12 Aboriginal children from the Forster area that were considered as vulnerable or at risk. The program was delivered by Great Lakes Surf School.